Along its northern coastline Germany established a series of shipyards and naval bases for the expanding German navy. 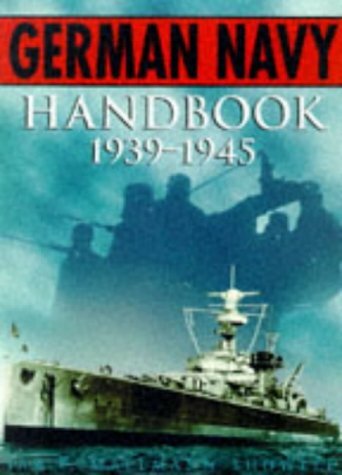 It was there that famous ships of the German navy were constructed firstly for the Imperial German Navy, and then during the 1930s with a series of modern battlecruisers and battleships expanding their fleets. These were a few of the more famous ships that Germany added to its navy. The Scharnhorst was a battlecruiser that joined Germany's navy in 1939. It was a perfectly timely addition to the German navy with commerce raiding missions required in the North Atlantic. In subsequent missions around Norway the Scharnhorst was more than a match for Royal Navy warships as it took out one of their aircraft carriers and a couple of destroyer escorts. The speed of this ship made it somewhat effective in the raider role. In 1942, the Scharnhorst also bypassed the Royal Navy in the English Channel. During this dash toward German ports it could not be effectively intercepted and taken out by the Royal Navy. Another triumphant mission for the Scharnhorst that ensured it remained at the forefront of the German navy. But then, in 1943, the Scharnhorst was effectively trapped by the British. In frozen Arctic waters the Scharnhorst sailed in pursuit of an Arctic convoy heading for Russian ports. British ships intercepted and surrounded the Scharnhorst, and sank it before it could withdraw back to home waters. The SMS Schleswig-Holstein was one of the pre-dreadnought battleships added to the Imperial German Navy in 1908. It was one of the German battleships included at the Battle of Jutland, a battle in which the German fleet took out a larger number of Royal Navy ships, before withdrawing. Despite Germany's defeat in this war, and the subsequent Treaty of Versailles which required that Germany abandon most of its warships, this was one of their battleships that remained a part of the new German navy. In the 1940s the SMS Schleswig-Holstein provided further naval support. It bombarded ground positions within Poland. In 1944, the navy converted the battleship to an anti-aircraft platform stationed within the north of Poland. RAF aircraft bombed and wiped the battleship out in 1945. Later salvaged by the Russians, it was later scuttled in the late 1940s within the Baltic Sea. The SMS Nassau was the first German dreadnought battleship added to the German fleet in 1908. Its construction ended any advantage that the Royal Navy may have had in the Anglo-German naval race. No longer did the British have a monopoly of dreadnoughts after this battleship joined the Imperial German Navy. The SMS Nassau was called up for naval battles with both the Russian Baltic Fleet and the Grand Fleet. Firstly, it was included at the abortive Battle of the Gulf of Riga. In 1916, the German navy sent its dreadnoughts to wipe out the Grand Fleet at Jutland; and they were relatively effective as they took out more of their ships. When the war ended, the SMS Nassau was given to the Imperial Japanese Navy. The Bismarck was one of two Bismarck-class battleships, which were the largest constructed by Germany. It eclipsed 50,000 tons, and was also fairly quick as it could reach 30 knots. This battleship joined the German navy in 1940. The navy soon sent it on its first, and only, mission. The mission was to strike at Allied merchant ships, which required the Bismarck to pass through the Denmark Strait. Once the Admiralty were informed of its sailing, they alerted their fleets stationed at Scapa Flow. The Royal Navy sent the HMS Hood to intercept the Bismarck, which it discovered at the Denmark Strait. 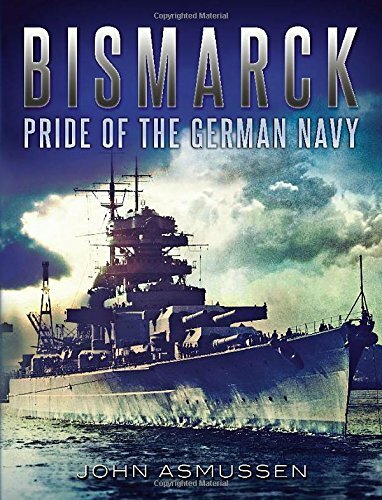 The Battle of Denmark Strait was a triumph for the Bismarck as it quickly sank the HMS Hood. Despite the victory the Bismarck had to change course and return to port as it was leaking fuel. To defeat the Bismarck, the Royal Navy upped its naval presence with aircraft carrier support; and their planes rediscovered the ship soon after the loss of the Hood. Aerial sorties took out the Bismarck's rudder, which left the battleship open for further Royal Navy surface fleet warships to intercept. When they found it a barrage of shells and torpedoes ravaged the ship and took out its primary turrets. The orders were given for the crew to abandon ship, and they left scuttling charges aboard the Bismarck before departing. Their explosives, combined with further torpedo strikes from British warships, ensured the demise of the Bismarck. The Graf Spee was a pocket battleship, essentially a more lightweight alternative to larger capital ships of the period. Like other German surface fleet vessels, the navy sent it on early commerce raiding missions; and a small fleet of Royal Navy cruisers intercepted it. In the naval encounter that followed the Graf Spee was more than a match for the cruisers, but all ships remained still remained afloat and headed toward Montevideo. At the port of Montevideo the Uruguayans were not about to provide a permanent base for Graf Spee for required repairs. It had to leave port soon after arriving, and expecting a substantial Royal Navy fleet outside the port the captain scuttled ship soon after its departure. This was the first notable defeat of a German capital ship during the period. These were a few of the great ships of the German navy. They took out a number of Royal Navy warships, as well as merchant ships, during surface fleet engagements and commerce raiding missions. The Royal Navy, or indeed other navies, had few ships which could match them. Matthew is the author of the book Battles of the Pacific War 1941 - 1945. This is a book that covers nine of the largest land and naval battles in the Pacific Theater. For further details, check out the book's blog ( http://battlesofthepacificwar.blogspot.co.uk/ ), Amazon ( http://www.amazon.co.uk/Battles-Pacific-War-1941-ebook/dp/B008YDCBBQ/ref=sr_1_1?ie=UTF8&qid=1345193117&sr=8-1 ) and Lulu pages.